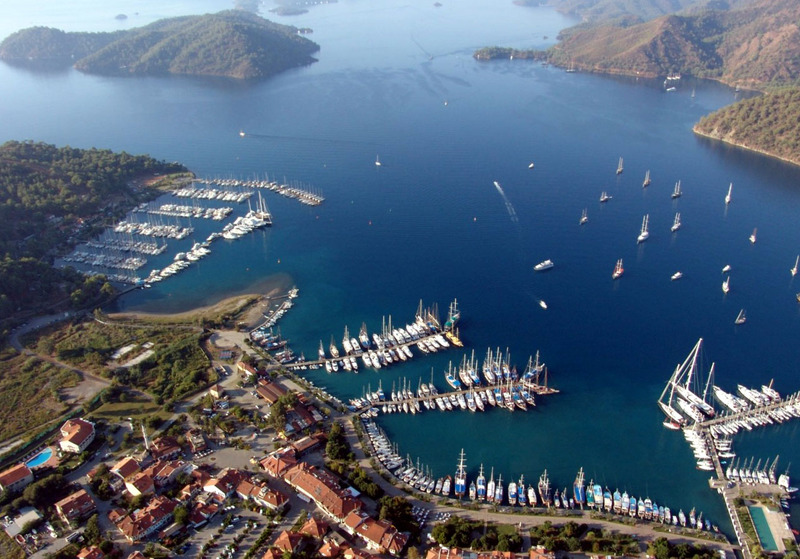 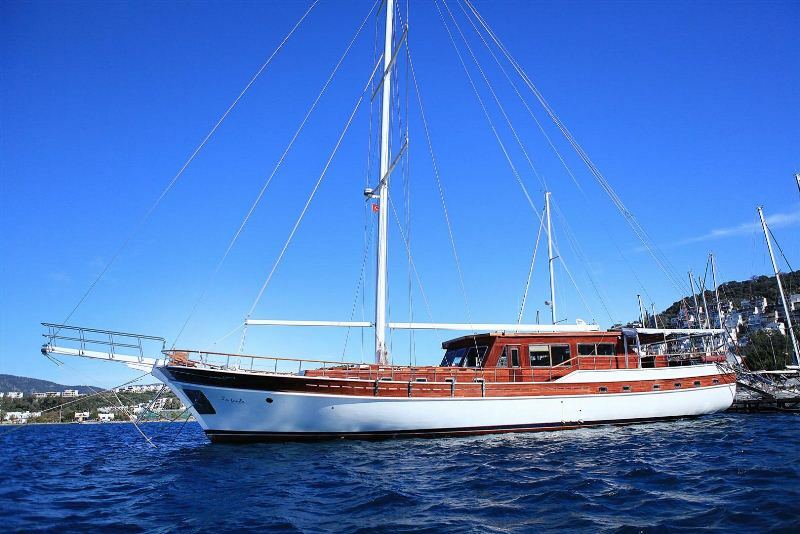 Luxury sailing gulet LA FINALE was delivered in 2013 and measures 30m (98ft) in length. 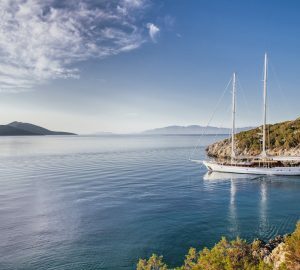 Sailing yacht LA FINALE offers deluxe crewed yacht charters, from the stunning Turkish coastline and can accommodate up to 12 guests. 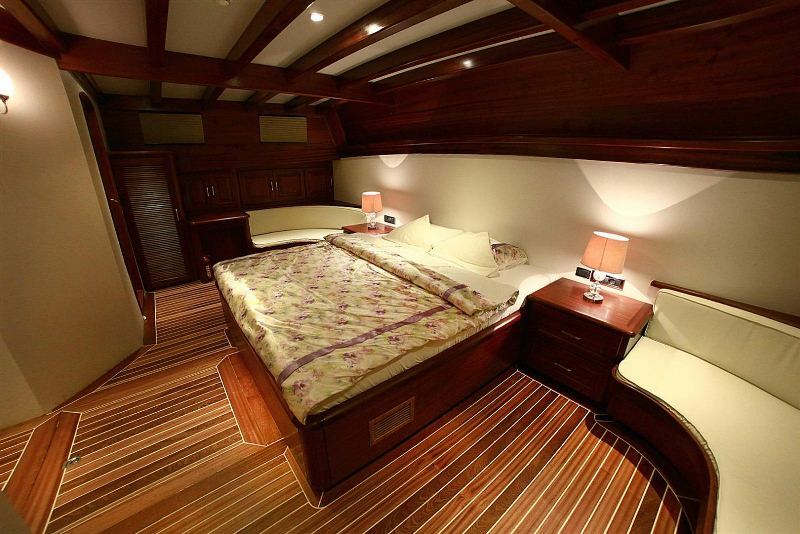 The interior décor aboard the yacht LA FINALE is timeless traditional, exceptionally spacious and well-appointed. 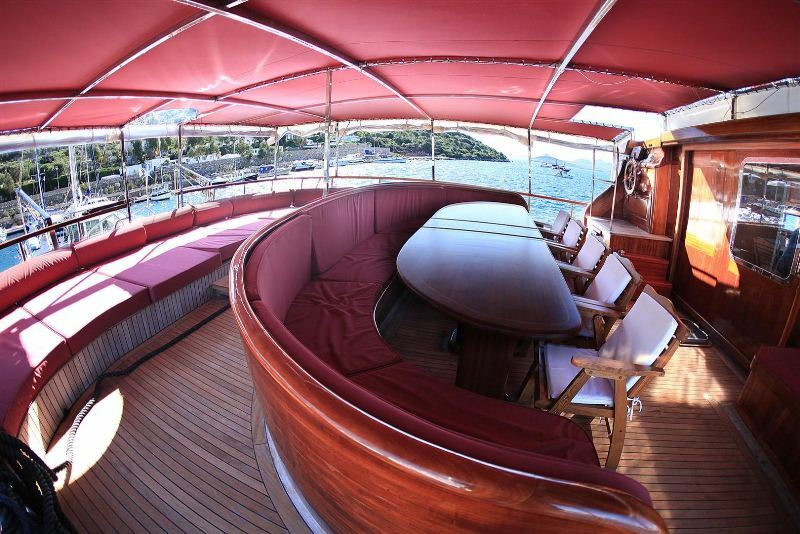 The main salon is raised and features 2 large seating areas with 2 tables, visual and audio entertainment and a complete wet bar upon entering the salon, perfect for social occasions. 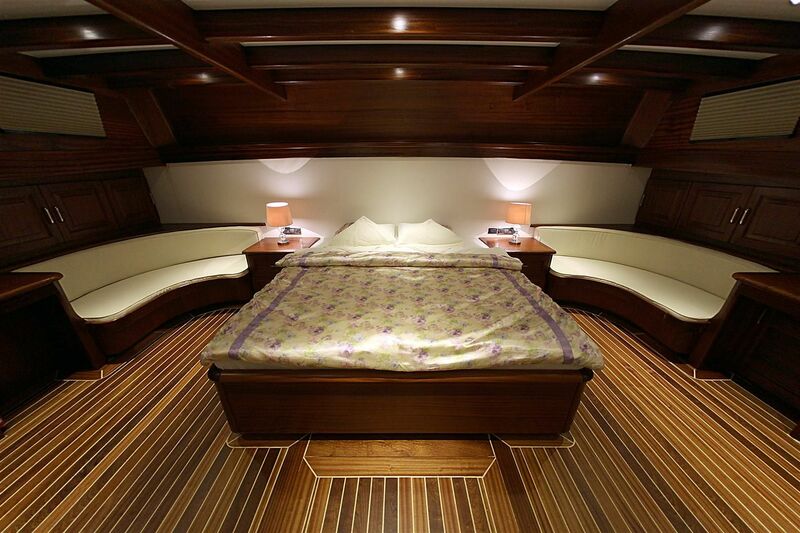 Teak and holly inlaid floors, warm wood panels and overhead deck beams give the yacht an elegant style, while modern soft furnishings create a welcome, relaxed ambiance. 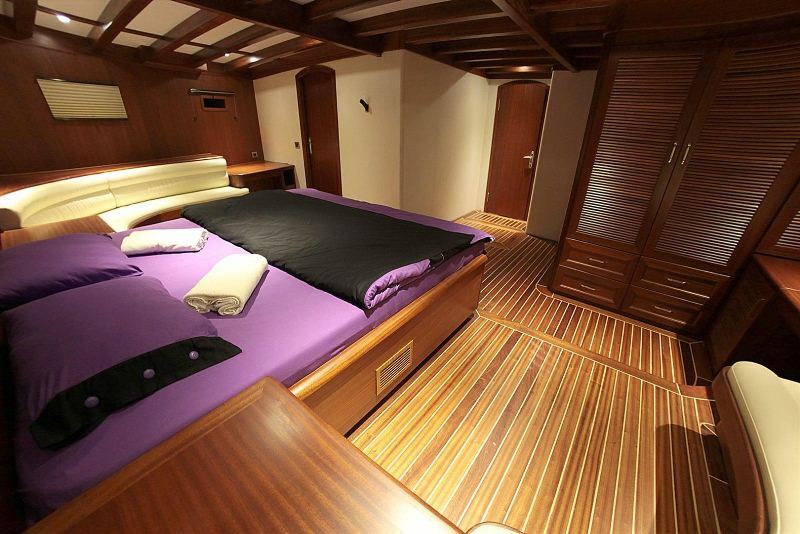 Guest accommodation is on the lower deck, in 2 master cabins, 3 double cabins and 1 twin cabin, each boasting private en-suite facilities and personal entertainment systems. 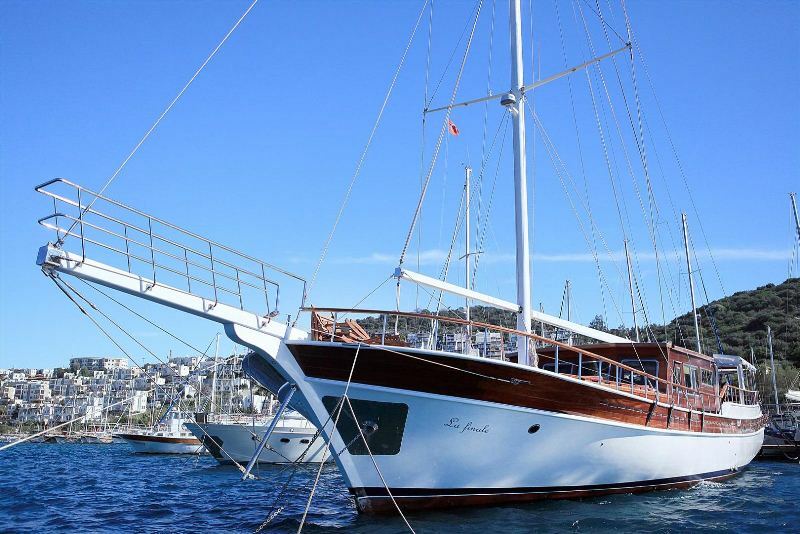 Charter yacht LA FINALE has ample exterior teak deck areas. 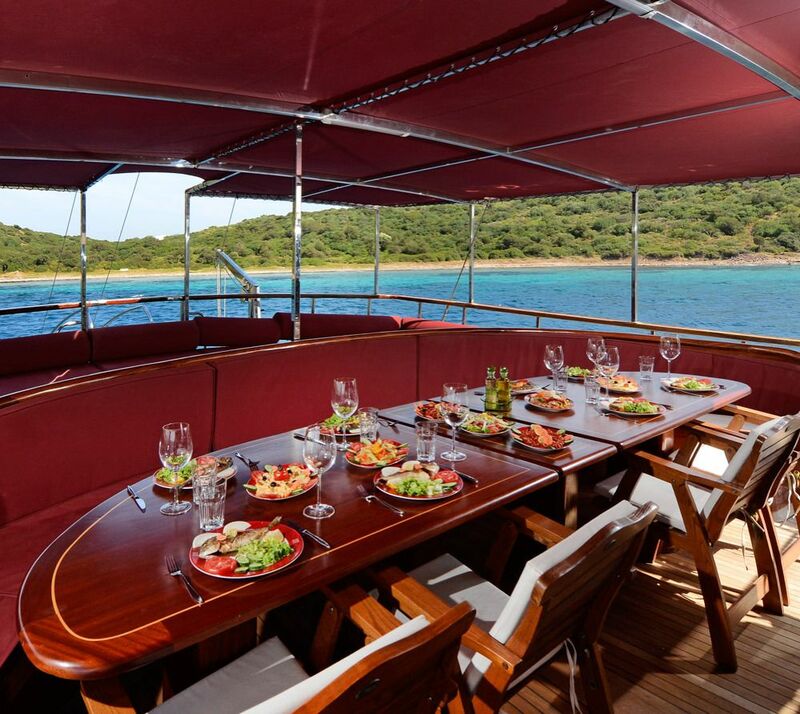 The aft deck is shaded and offers an alfresco dining option and full beam aft sunpad. 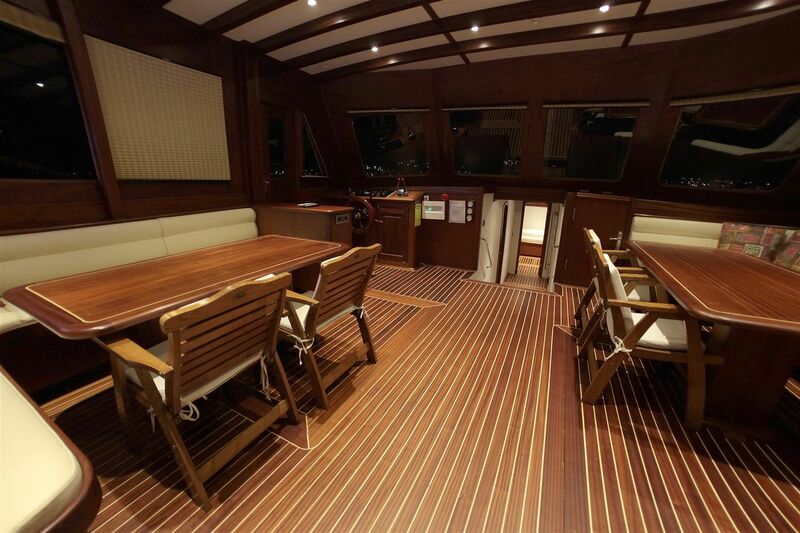 With direct access to the salon’s wet bar, the aft deck is a fabulous extension of the social salon. 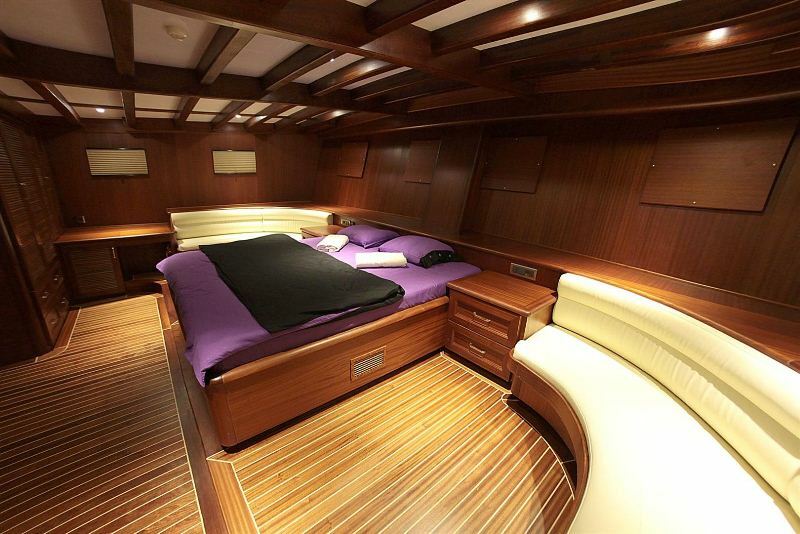 A wide beam of 7m (22.96ft) provides generous side decks, allowing guests to easily walk to the capacious foredeck. 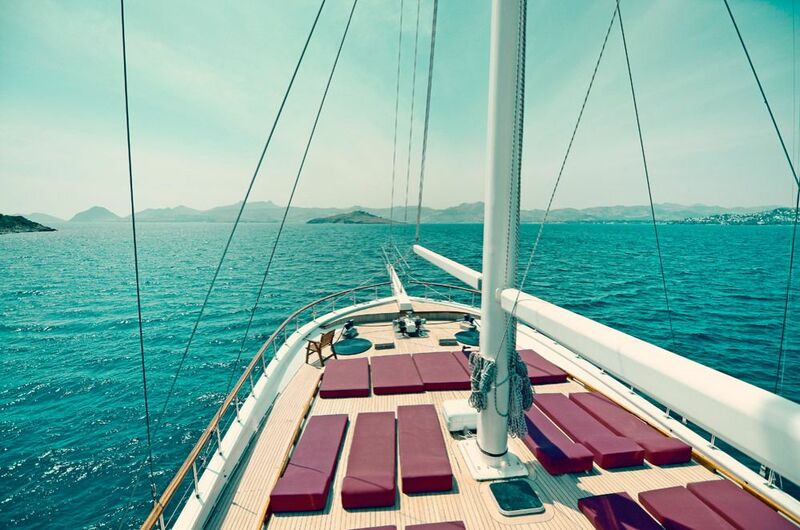 On the cabin house, plenty of plush sunpads await the sunlovers to soak up the warm, Turkish weather. 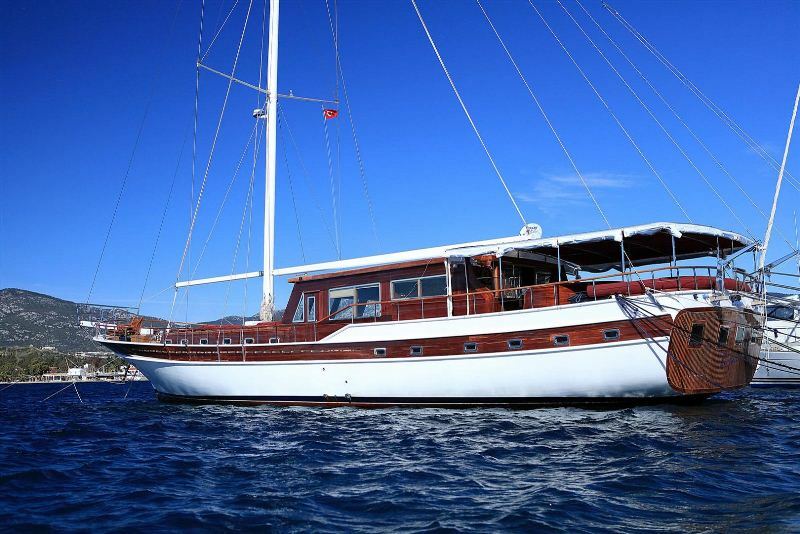 Gulet LA FINALE is powered by 2 x Ivecko 360hp engines. 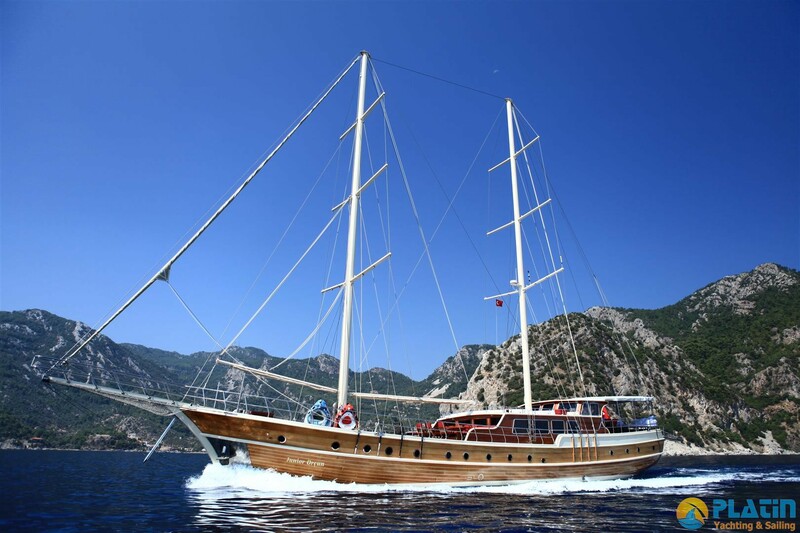 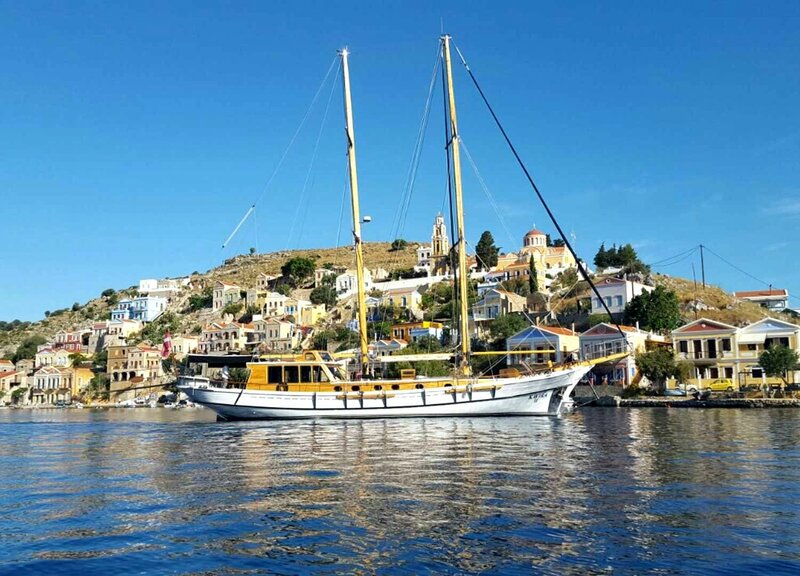 Luxury crewed gulet LA FINALE offers accommodation in 6 en-suite cabins, for up to 12 charter guests. 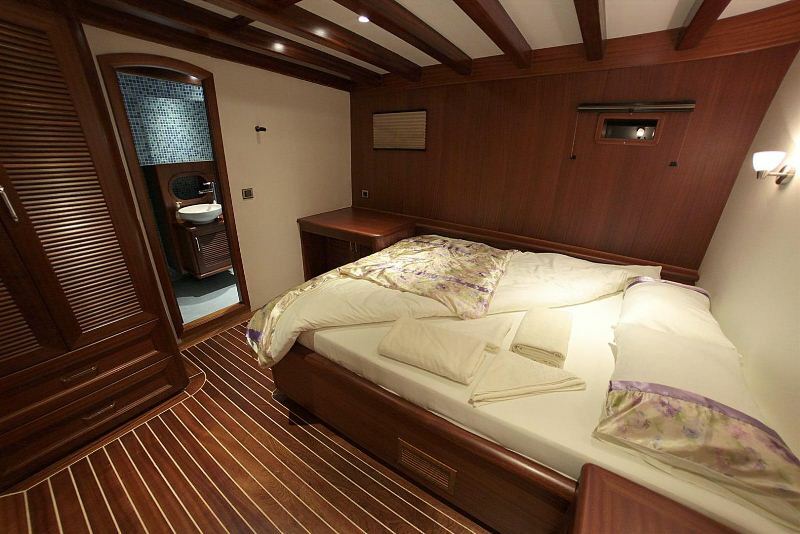 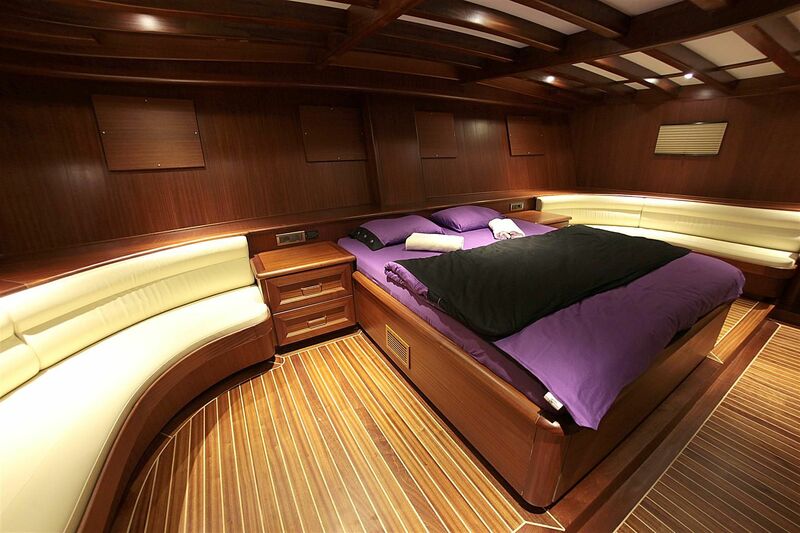 Two master cabins are of equal size and boast a full beam layout, king size bed and sofa. 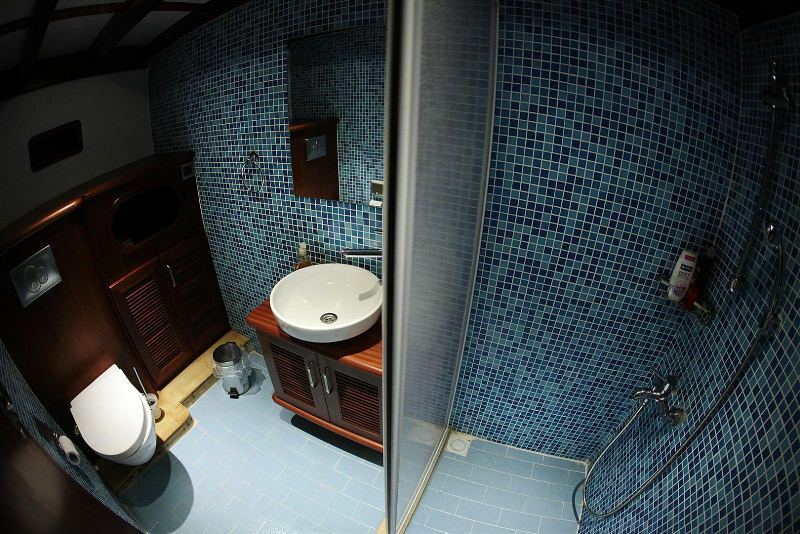 Three guest cabins each have double beds, while a further guest cabin offers twin single beds. 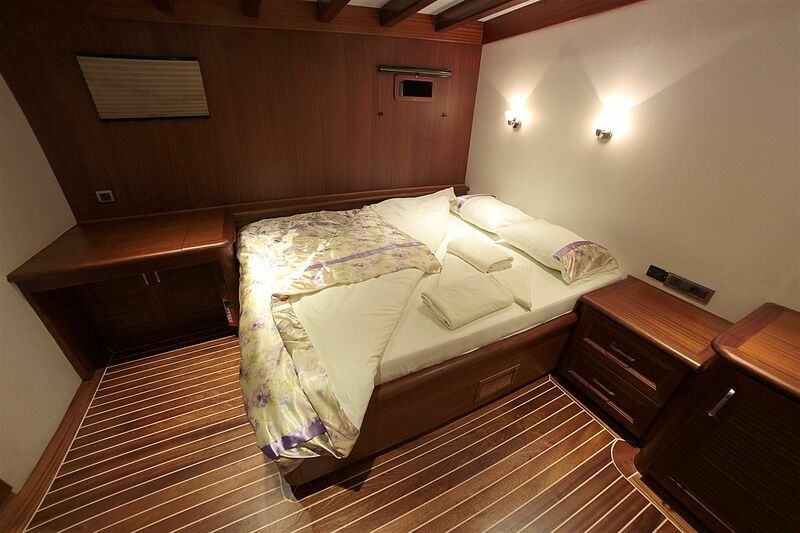 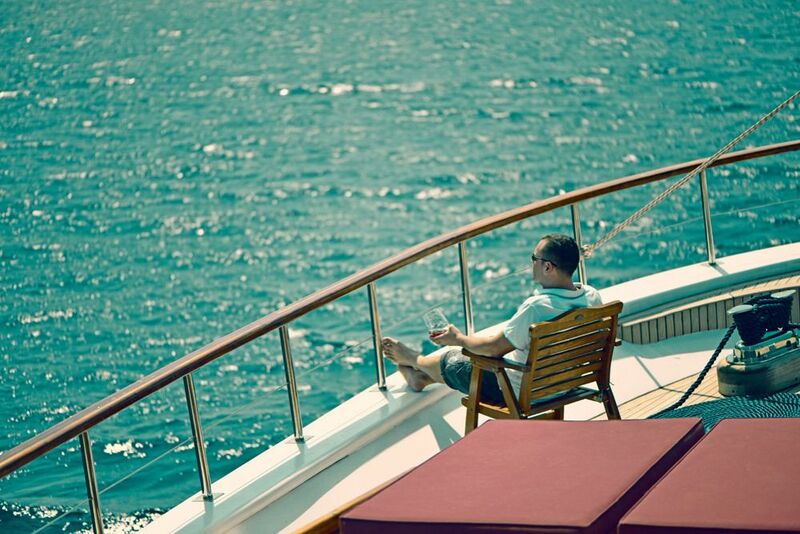 All cabins are fully air conditioned, feature private en-suite facilities and personal entertainment systems.